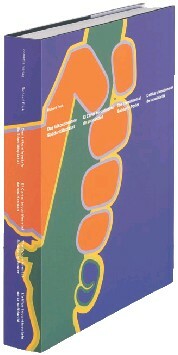 The book about the revolutionary OSPAAAL poster – a look back at the liberation struggle Africa, Asia and Latin America. The Organisation for the Solidarity of the People of Africa, Asia & Latin America (OSPAAAL) founded in Havana in 1966, disseminated political propaganda in the third world by means of the magazine «Tricontinental» and Cuban posters. It lent an authentic voice to the armed liberation movements. All currently known OSPAAAL posters have been documented for the first time in this book. They are reproduced in four colours, and the poster artists as well as the year of origin of the individual poster works researched. Some of the Cuban poster artists speak out for the first time in the introduction and describe the motivation, working conditions and objectives of their creative work. In the centre of the book are the 344 OSPAAAL posters known to date, reproduced in outstanding print quality on special paper using a frequency-modulated screen. Covering the continents of Africa, Asia and Latin America, the presentation of the propaganda posters follows the liberation struggles in the individual countries. The political, social and historical connections and backgrounds of the armed liberation struggle in particular are described in short texts. The posters and texts are at the same time a tribute to the countless known and unknown fighters. This book is a diverse expression of a clear political opinion. A book with the first complete documentation of the currently known OSPAAAL posters. A book on the history of the revolutionary poster. A book on the poster art of the Agitprop. A book on the graphic designers and their visual language. A book of design and production engineering quality. Format 22 x 28 cm, 448 pages 344 four-colour poster reproductions, printed on special paper using a frequency-modulated scree 2 fold-out pages with miniature reproductions of all posters. All texts in German, Spanish, English and French.